US mobile carrier, Sprint has now started selling Samsung’s second generation Galaxy Note smartphone, the Samsung Galaxy Note II, and the device is now available for $299.99 when you sign up to a new two year contract with Sprint. 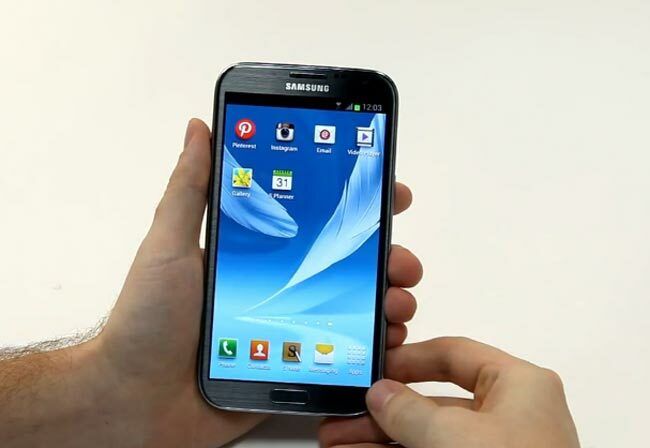 The Samsung Galaxy Note II features a 5.5 inch HD Super AMOLED touchscreen display with a resolution of 1280 x 720 pixels, there is also a quad core 1.6GHz processor and the latest version of Google’s Android OS, Android 4.1 Jelly Bean. Other specifications on the T-Mobile Galaxy Note II include a 3,100 mAh WiFi, and the device comes with Samsung’s S-Pen stylus and software, you can find out more information about the new Galaxy Note II over at Sprint.